As those of you who follow our newsletter know, the blog is about to embark on an exciting new journey: Inspired by the British Museum’s A History of the World in 100 Objects, we will, over the course of the coming year, showcase objects of different periods in the Temple Mount’s history, telling you about them and about the periods they represent. Back in 2011, a nice Israeli family joined us in the sifting facility for a rummage through the debris of the Temple Mount. 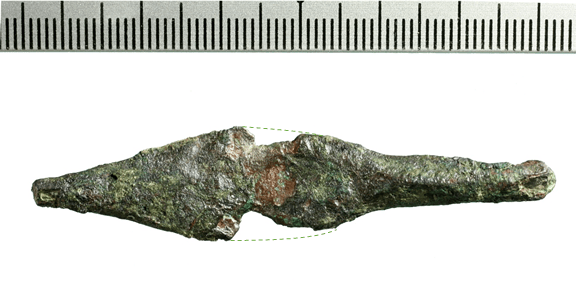 They were expecting some of what we’ve come to think of as run-of-the-mill finds: some pottery sherds, a few mosaic tesserae, bits of glass and stone, and maybe a coin – if they got lucky. But they got more than they bargained for when they spotted a broken faience (a soft glass-like material) amulet which clearly showed some hieroglyphs. 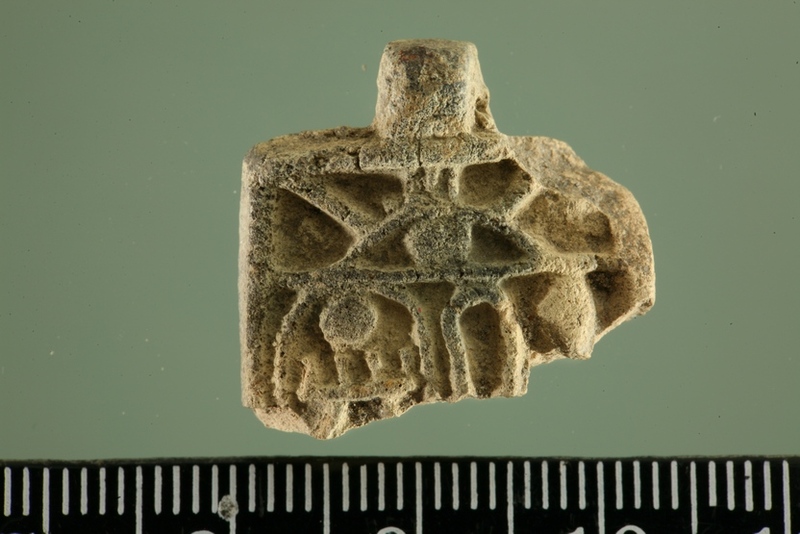 So we immediately knew it was ancient, and connected to Egypt, but the deciphering took a while longer, and it was only a few years later that news sites around the world carried the title Girl, 12, finds ancient Egyptian amulet at Jerusalem dig. Above: The eye within the sun. 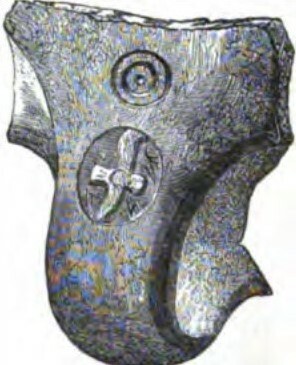 Below, to the right: The broken top half of the looping tail of the Uraeus (Egyptian Cobra). Below, to the left: An oval cartouche containing hieroglyphs – on the top is visible a circle representing the sun-disc; below it, looking like an upside-down comb – a board with game pieces on it – the famous Egyptian game of senet; below the senet board, just barely visible above the break – you can spot the forelegs of the scarab beetle. Put together, the hieroglyphs in the cartouche spell the word “Men-kheper-Ra”. Literally – Lasting is the Manifestation of Ra (check out other variants in this nifty little site), the throne name of the pharaoh better known as Thutmose III, who ruled Egypt in the 15th Century BCE. But what’s an Egyptian amulet doing way out here, 420km away from Thebes? Pharaoh Thutmose III reigned in Egypt from 1479 – 1425 BCE. He was part of the 18th dynasty, which ruled in the beginning of the Egyptian Era known as the New Kingdom, and he did a bunch of interesting things down there, which aren’t the topic of this post. ? Meanwhile, in the land the Egyptians knew as Retjenu, and which the bible calls “Canaan” – the Late Bronze Age was in full swing, and the country was divided among local “kings” – rulers of city states. Thutmose III helped turn Egypt into a superpower by stretching his empire from Southern Syria through to Canaan and Nubia. We know a lot about his military campaigns because records of his campaigns are inscribed on the wall of the temple of Amun in Karnak. The first, and probably largest of Thutmose III’s 17 military campaigns took place in Canaan. The Canaanite city-states revolted against Pharaonic attempts at hegemony but were soundly trounced by Thutmose’s superior forces and tactics at the Battle of Megiddo in 1457 BCE. And so, the Egyptians ruled the land until the mid-12th Century BCE, leaving their mark on archaeological sites throughout the country – Jaffa, Megiddo, Bet She’an, and Ashkelon, to name a few. Within the Late Bronze Period, the part we know the most about in terms of Israel\Egypt relationship is the Late Bronze period II – corresponding in time to the Egyptian Amarna Period, so called because, luckily for us, in 1336 BCE Pharaoh Akhenaten moved the capital to the site of Amarna. Why lucky, you ask? Because this move, among with other reforms enacted by the Pharaoh were reviled by Egyptians of following generations, and after the death of his son (the famous Tutankhamun), his new capitol was abandoned – leaving behind its rich archives to be discovered some three millennia later. These archives relate a rich correspondence between the Pharaoh and the rulers of the city-states of Canaan, including the King of Jerusalem, Abdi-Heba. In his 6 letters, Abdi‑Heba beseeches the Pharaoh for his help against the Habiru people, and the rulers of cities such as Shechem, Gezer, and Lachish who, unlike himself, show no loyalty to the Pharaoh. Strangely enough, when reading each of the other rulers’ letters, it would seem that they are the only ones truly loyal to the Pharaoh. Go figure, huh? The archive contains only letters sent to the Pharaoh, and we don’t know what answer Abdi-Heba received from the Pharaoh’s scribe. 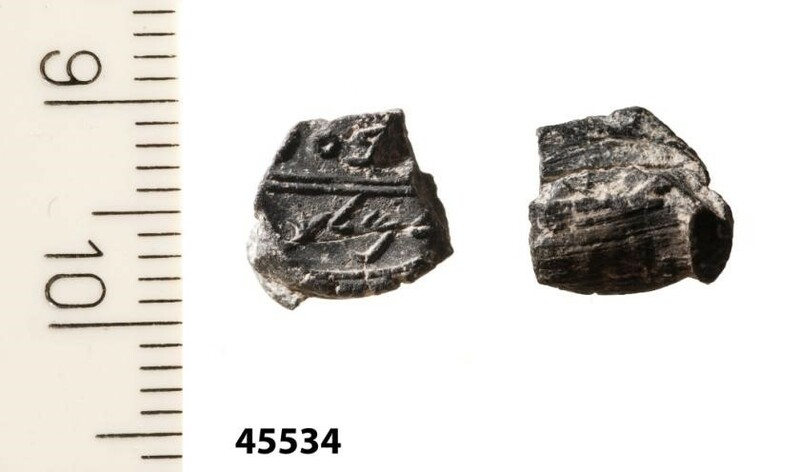 However, several years ago, while Dr. Eilat Mazar was excavating in the Ophel (south of the Temple Mount) and outsourced her sifting needs to us, we managed to find a tiny piece of a clay tablet of the same type as the Amarna archive. So even though the fragment was too small to decipher a meaningful message – at least we know that Abid-Hepa’s correspondence wasn’t one-sided. But even though we learn from the archives that ancient Jerusalem, while not exactly a super-power, was definitely a city to be reckoned with, its remains remain a bit elusive. A scant amount of pottery dated to this age was found in excavations in the City of David and the Ophel, including some imported material from Cyprus and the Agean world, to which we can add our pottery (which we’ve already discussed in a previous blog post) and a few other finds such as two scarabs, three fragments of stone vessels and a finger from a possible Egyptian Late Bronze statue. These artifacts can be added to other finds dated to the Late Bronze Age discovered in past years in the City of David as well as artifacts hinting to the possible existence of an Egyptian temple in the premises of the Dominican monastery of St. Étienne north of the Damascus Gate. All in all, even though the archaeological remains from this era in Jerusalem as a whole are somewhat meager, in the Temple Mount their amount is even smaller. This fits well with the well-established notion that the Temple Mount was uninhabited and not included within the city proper, but was rather used for agricultural purposes, such as the biblical Araunah’s threshing floor. 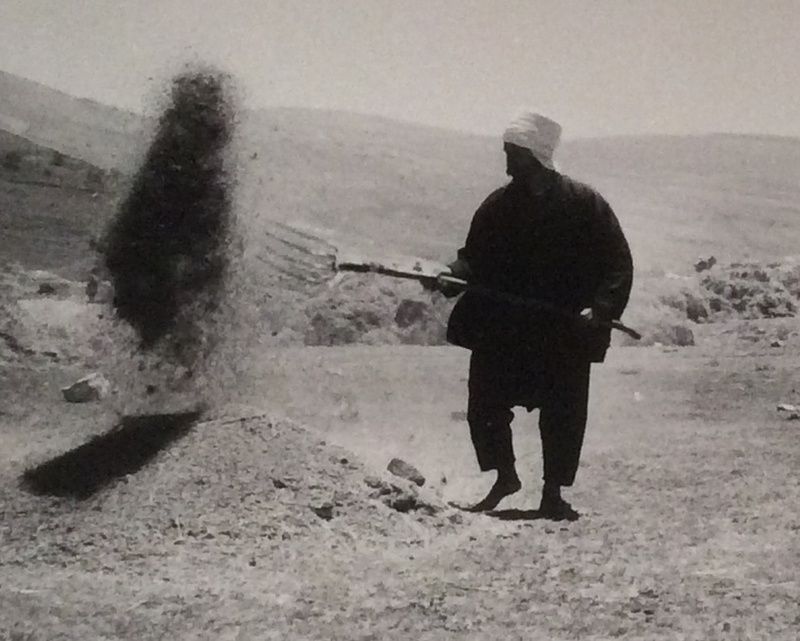 Winnowing in a Threshing floor at the village of Majdal Shams (taken in 1967 by Sari Sapir ). Was this the main activity that took place at the Temple Mount during the Late Bronze and Iron Age I periods? 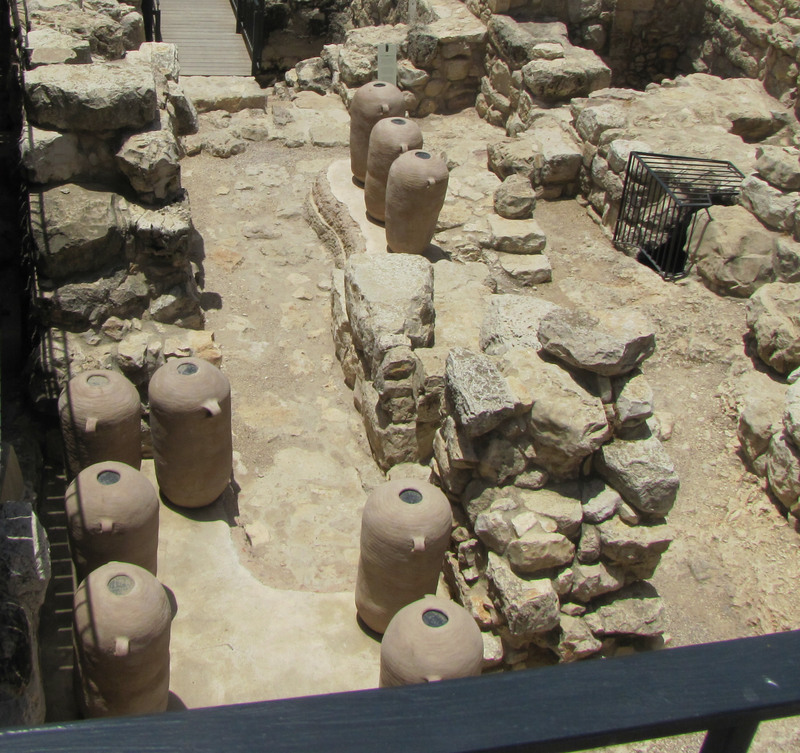 Join us in our next post, as we continue into the Iron Age I and beginning of the First Temple Period!